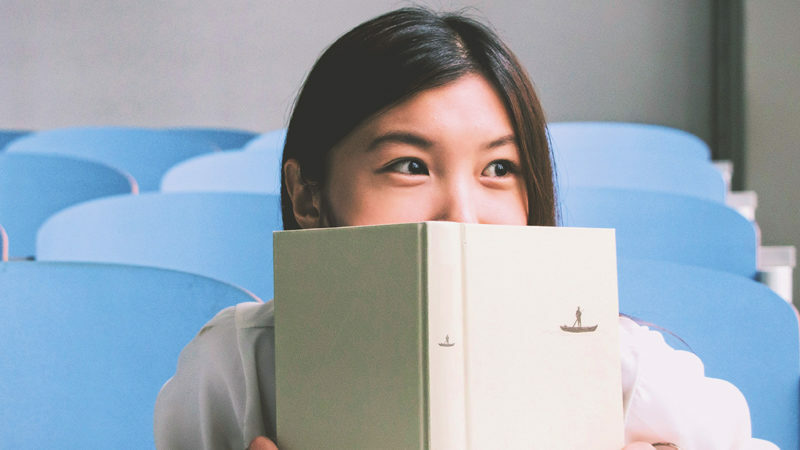 The savvy reader’s favorite website BookFilter.com chooses the best theater books ready for the beach or that road trip, exclusively for Broadway Direct. Summertime and the reading is easy. OK, not so easy when there’s a lawn to be mowed and road trips to plan and the kids are underfoot. But that won’t stop you! 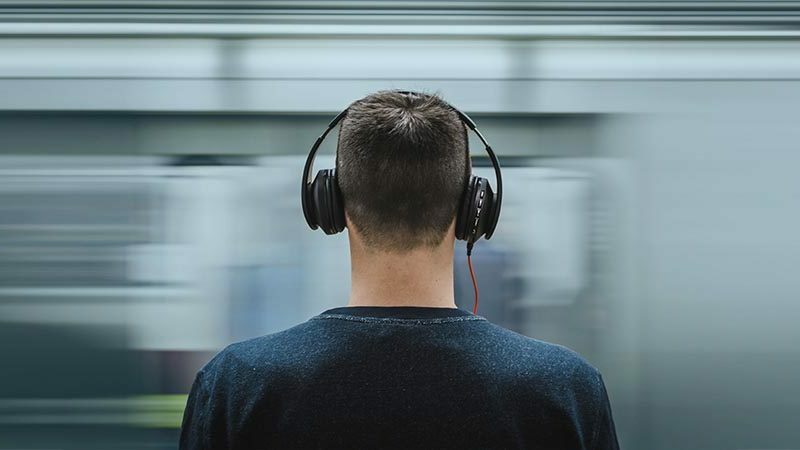 Whether you’re heading to Broadway or a nearby city to catch a new show, subscribing to a season in your hometown, sending your budding Audra McDonalds off to acting camp, or acting in your local community theater’s production of Our Town, summer is a great time to catch up on great musicals and drama. 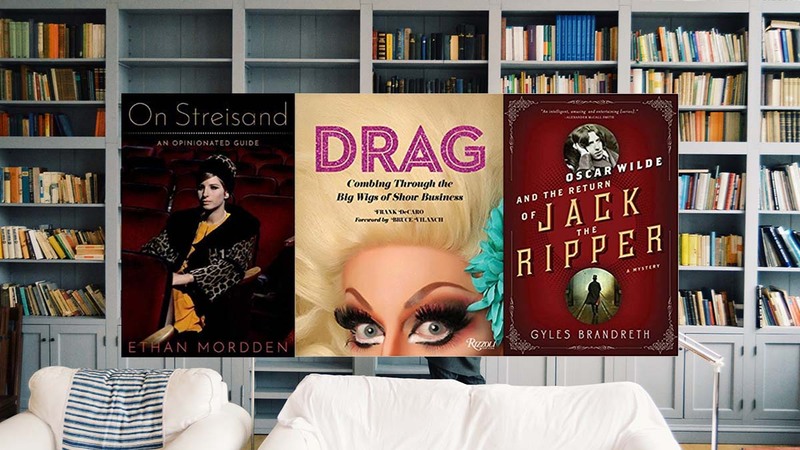 And in between all that activity, here are some theater-related books to catch up on as well. Paula Vogel’s acclaimed play made the leap to Broadway and won two Tony Awards. But this ode to the theater, a groundbreaking play about religion and the true love of two women, didn’t stop there. As with most plays, it was set to tour the country and the world. But when they posted a closing notice after the Tonys were handed out (the very good Oslo won Best Play), something unprecedented happened. Yes, there’s usually a surge of ticket sales before a show closes, but in this case sales surged and surged again. Suddenly, almost inexplicably, everyone clamored to see this beautifully directed and acted work by the playwright of How I Learned to Drive. The closing notice has been taken down and the show has been extended and who knows where it will end? But why wait for it to come to your town? Start reading now. Jane Austen looms larger and larger in the popular imagination with every passing year. And thanks to innovative adaptations by Bedlam Theatre Company and others, her work is flourishing on the stage like never before. With a musical adaptation of Pride and Prejudice debuting this summer, what better time to take stock? Author Paula Byrne charts the impressive track record of Austen on stage, TV, and film, ranging everywhere from Colin Firth’s iconic work in the TV miniseries Pride & Prejudice to varied stage works and even films inspired by Austen, such as the brilliant teen comedy Clueless. If you’ve already read Austen’s novels several times over, give yourself a break and dip into this. 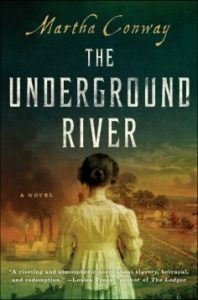 Award-winning author Martha Conway’s latest historical novel is set on the Ohio River in the early 1800s. May Bedloe is a seamstress for her cousin, the well-known actress Comfort Vertue, and thus just a step away from the glamour of fame on a showboat. They’re separated by fate and May must make her own way, which involves an even more ragtag group of performers … and an active role helping “ranaways” via the Underground Railroad. Suddenly, May’s life and the lives of others depend on her acting innocent enough to fool agents of the Confederacy, but she’s better at stitching up garments than stitching up lies. A miscellany for theater lovers, this compendium by the author of Beethoven’s Skull does for the stage what he did previously for classical music. Surely you can guess the identity of “a 16th century playwright who lives a double life as a spy and perishes horribly, stabbed above the eye.” But did you ever spot the earring in Shakespeare’s famed portrait and do you know its connection to pirates and bohemians? Can you name the Greek dramatist felled by a falling tortoise? Perfect for dipping into during intermission. Van Lente is a well-known writer of comic books. (Feel pity for the travesty that was the film adaptation of his classic series Cowboys and Aliens.) Now he’s making his debut as a mystery novelist with this wicked send-up of stand-up comedians and Agatha Christie. Taking a cue from … And Then There Were None, Van Lente has a mysterious but legendary funnyman named Dustin Walker summon a bunch of comics to his island retreat. The gang includes everyone from a late-night talk show host to a washed-up Vegas comic to an improv instructor and a hugely successful blue-collar comic. 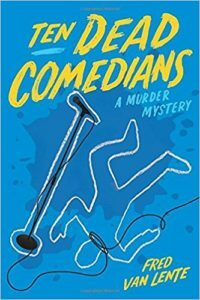 In a high-wire act, Van Lente manages to deliciously skewer both classic mysteries and comedy by delivering humorous monologues for each character while knocking them off one by one. Perhaps only a radio producer would be able to do something as quixotic as write a book about a mime. Yes, this intriguing biographical appreciation is devoted to the most famous one of all, Marcel Marceau. Wen — whose work has been heard on This American Life — begins simply by describing Marceau on stage, alone, in the spotlight. 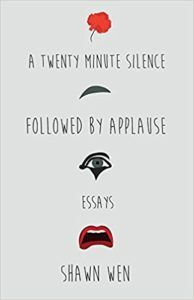 Then Wen adds more and more information, drawing on research and interviews and reviews to nail down in words the ineffable beauty of mime as practiced by its greatest talent. You’ll read it in silence and then want to applaud Wen … and then head right to YouTube to see Marceau in action. Sure, you could do that now, but Wen’s work allows you to appreciate it like never before. Any teens who read that Harry Potter play should be well-prepared for this formally daring young adult novel. It features the usual high drama, including a teen pregnancy, a boyfriend who dumps our heroine (named Genesis, which can’t be easy), and refuge in the underground theater scene of New York City. Here’s the kicker: Gen reenacts and rethinks her relationship with said former boyfriend via an imaginary four-act play that pops up throughout this novel. It’s clever, arresting, and a good glimpse into how your writer friends see everything as grist for their material, whether it’s a telenovela, a play, or a song. Be forewarned. A major new biography. Few artists have ever enjoyed the adulation during their lifetime as Goethe did. That fame has only grown, thanks to his impact on literature, poetry, politics, the natural sciences, and, of course, drama, with works such as Faust. 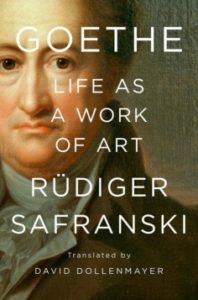 Here, German writer Safranski captures Goethe in his polyamorous approach to the intellectual life and sets him within the canvas of his time. Wiseman’s new novel features a lonely girl named Lily, hidden away from the world in 1931 small-town America. Her wealthy parents are aghast at Lily’s appearance; the child can’t even attend the circus when it comes to town. But she can be sold to the circus, and thus begins this romance about life under the Big Top, all sorts of families (especially the ones you choose), and even romance, perhaps, even for a girl like Lily. Showbiz ain’t easy for anyone, but it’s even harder on women and even harder on women who are funny. Lucille Ball once said, “I’m not funny at all; what I am is brave,” by which she meant, in part, she was brave to look foolish and silly on camera. In fact, it does take bravery to step up to the mic of a comedy club, step in front of a camera and mug for laughs, or step onto a stage. 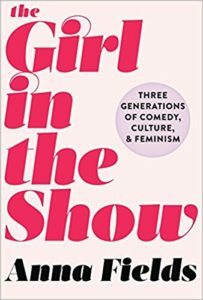 This cultural history of women in showbiz focuses on “three generations of comedy, culture, and feminism” because, yes, women are funny and the fact that they have to say so proves feminism is still needed. It leans more on artists like Tina Fey and Ball, but groundbreakers as long ago as Fanny Brice and Mae West found more freedom in the old days on stage just as female artists today get more room to grow in the rough and tumble world of improv rather than in movies, where they’re always asked to be the Wife or the Girlfriend and stand to one side and look helpless. Look funny? You got it. Helpless? No thanks. Applause’s annual collection of the best short plays produced around the country is essential for anyone wanting to spot the future superstars of theater. Everyone from Tennessee Williams to Neil LaBute has made their published debut thanks to this series, and it shows no signs of lagging now. Vocalist Sarah Vaughan — nicknamed “Sassy” — was once just a singer. But then rock ’n’ roll came along and a great divide opened up; suddenly, people like Vaughan were jazz singers, people like Doris Day were for old folks, and the kids only listened to artists who wrote their own material. But Vaughan and others like her proved the keepers of the flame for the Great American Songbook, the treasure trove of tunes written by the likes of the Gershwins and Cole Porter and Irving Berlin. Or as we call it, musical theater! Vaughan was a trailblazer, one of the early pioneers who helped desegregate radio (yes, radio had to be desegregated), all while swinging the songs that made their debut on Broadway in shows that came and went but will never be forgotten. 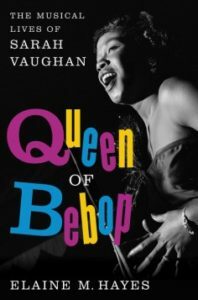 This biography gives Vaughan her due in a way the stage never can. People have tried to create a stage musical around her life but who the heck can sing like Sassy? This is a welcome paperback reissue of a classic novel by the late Barry Unsworth. A medieval troupe travels the countryside enacting a morality play, ritualized entertainment for the masses that was barely good enough to get them some coins. They stumble into a village with new member Nicholas Barber, a runaway scholar-priest. When their tired show falls flat, they come up with the unique idea of reenacting the murder of a local boy. Unfortunately, doing so uncovers inconsistencies in the story of who did it, and the actors find themselves trying to solve a crime and stay alive when all they really want is to get paid and get out of town. A clever melding of historical fiction and mystery combined with a fascinating look at traveling theater companies of the Middle Ages. Michael Giltz is the creator of the website BookFilter, a book lover’s best friend. Subscribe to its free weekly email newsletter here.